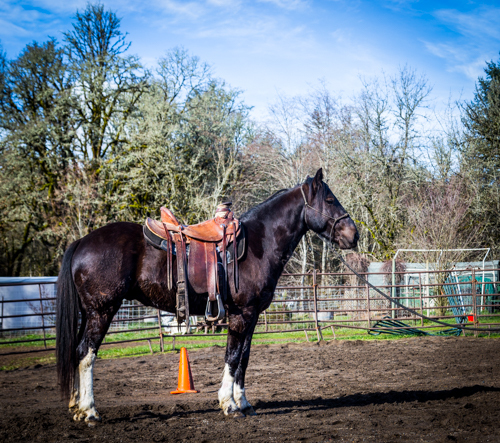 I am training the horse called “Saxon” a handsome 3.5 year old, 14.3hh black gelding with 4 white socks. 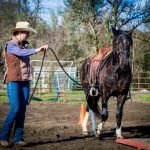 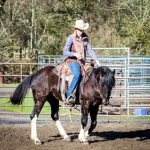 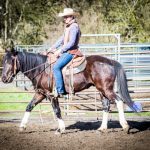 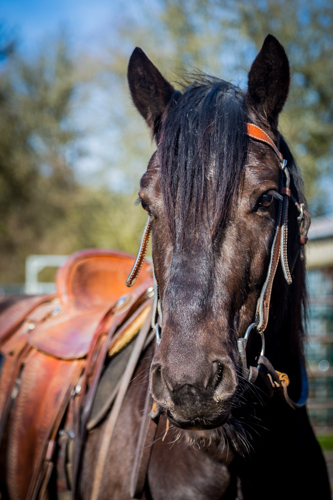 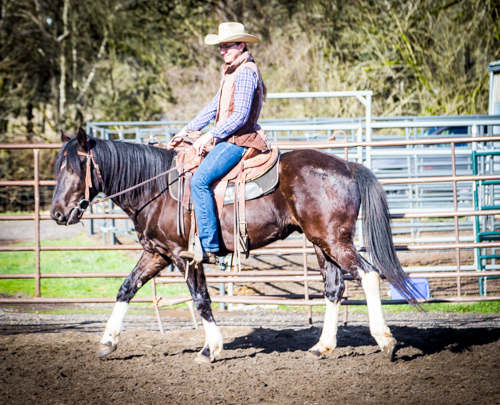 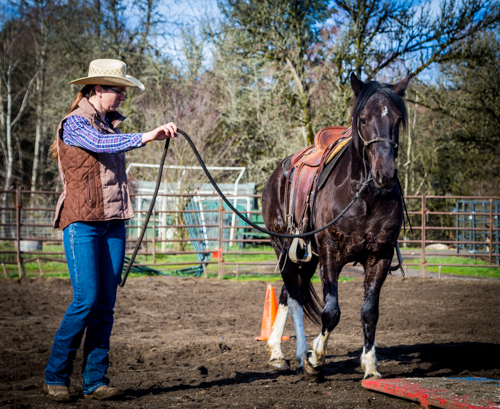 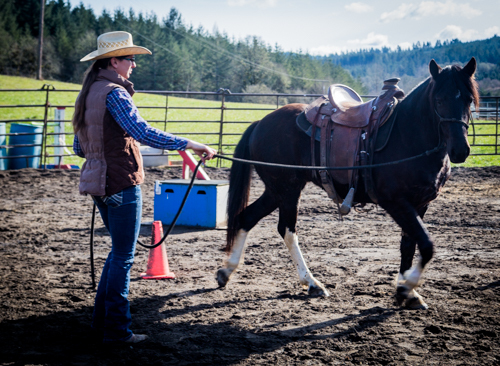 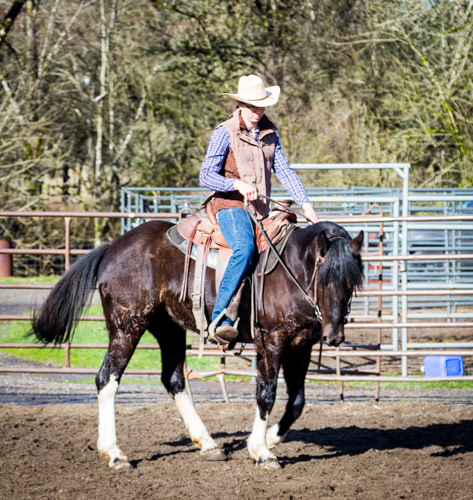 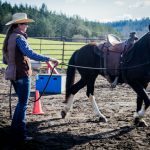 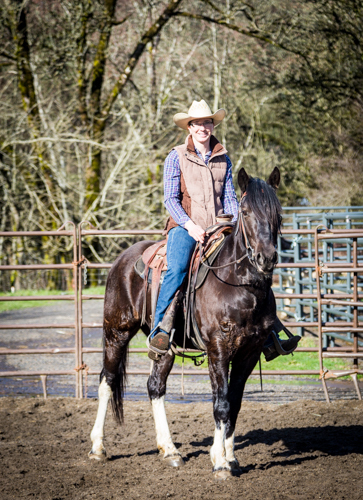 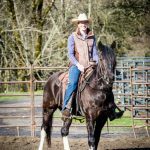 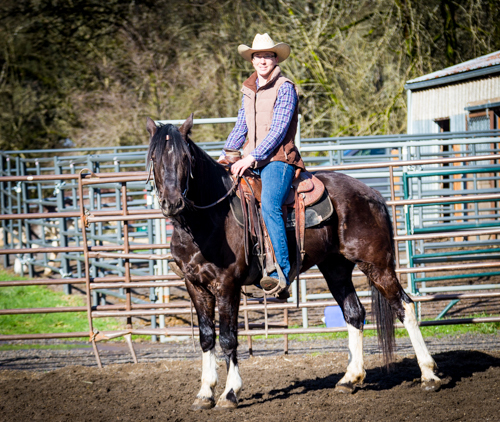 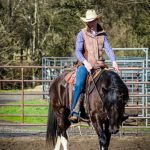 My name is Rachel and I have quite a bit of experience gentling and training mustangs straight from the corrals. 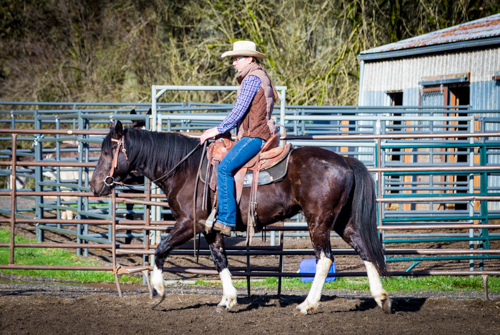 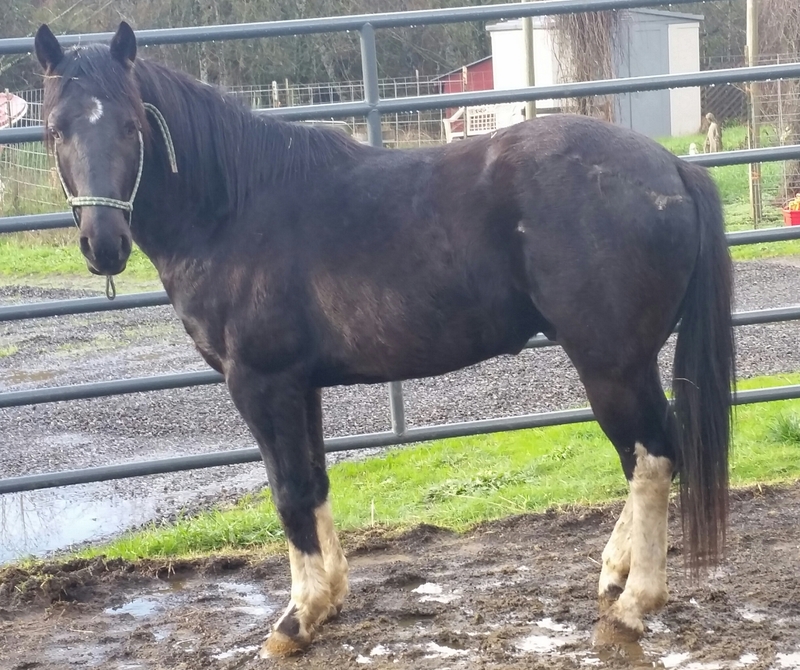 My goal with Saxon is to train him in a gentle way that will give him the confidence and skills to be a successful and safe riding partner for his adopter. 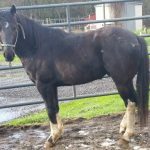 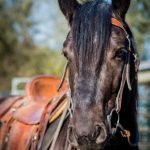 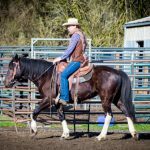 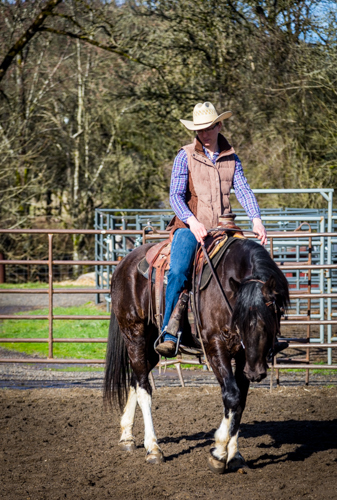 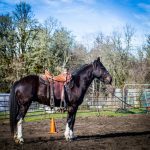 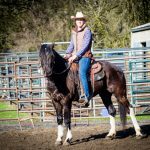 I hope to give him lots of exposure and experience with skills such as arena work, trail riding, obstacles and working cattle.